They can no longer count on predetermined areas or fixed locations, given the current demands of manned and unmanned airborne intelligence, surveillance, and reconnaissance missions, for example. 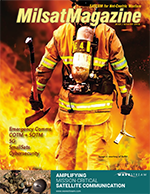 Whether on the move, in aircraft or ships, or on the ground, at military bases, the same access to high-speed data communications is needed because military operations can be highly unpredictable. The readiness of today’s armed forces requires a truly global connection, because from a training base at home, troops might be sent out on a search and rescue mission in the middle of the ocean at a moment’s notice. Helicopter image from Wikimedia — 12” airborne SATCOM antenna photo by Orbit Communications Systems. BLOS operations demand always-on, consistent coverage. Pilots, for example, should be able to take off from one location and fly across multiple spot beams without ever losing connectivity — and without having to manually repoint their antennas. At the same time, airborne SATCOM systems must transfer between satellite signals automatically and seamlessly. For example, aboard Air Force One, BLOS connectivity enables the U.S. President to communicate with anyone, anywhere. BLOS is an ideal SATCOM solution because today’s satellite architectures are capable of supporting consistent, uninterrupted connectivity everywhere in the world. Due to the military’s need for on-demand access and high reliability, one solution is to leverage commercial satellites to boost the effectiveness, flexibility and redundancy of military satellites for global unmanned missions. For armed forces, having a secure, on-the-move connection does not only ensure their safety, but also enables high throughput without interference or loss of service wherever they may be. Thus, the objective to secure satellite communications continues to evolve. Because many of today’s military challenges are geographically-based, users are seeking broader protection and anti-jamming (A/J) resistance to enhance resilience. The increase in the demand for communications at any point on earth, at any time of day or night, is leading technology companies to look skywards and to develop airborne beyond-line-of-sight (BLOS) SATCOM and 3D audio systems, as well as earthbound line-of-sight (LOS) tracking and control systems used by ground forces to communicate with airborne targets, like UAVs. The challenges facing such systems include the ability to withstand extreme environmental conditions and maintain the highest quality standards — while keeping costs competitive. The challenge for solution providers is to develop a single airborne stabilized VSAT system capable of delivering high-quality broadband communications to many different types aircraft via satellite. The terminal must be small enough to fit into the tight spaces usually allocated for communications equipment within the aircraft — with antenna sizes as small as 12 inches (30 centimeters) — but deliver high-speed Internet-based data communications to fixed- and rotary-wing aircraft as well as UAVs. The systems must be built to military standard (MIL-STD), with minimal Size, Weight and Power consumption (SWaP) properties, and must also be ruggedized to overcome the many environmental challenges posed by mission-critical platforms. 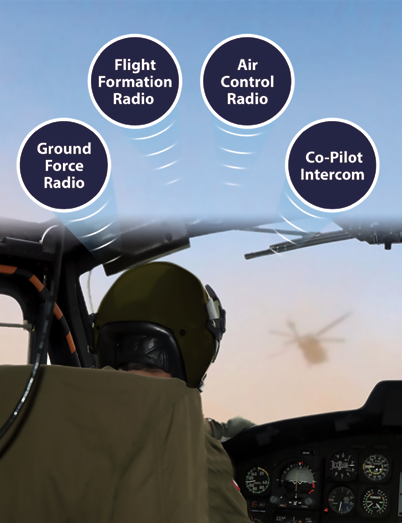 Today’s forward-thinking airborne audio management systems are based on a Dual IP Ring topology for inherent system redundancy, reduced aircraft weight, incremental scalability and the flexibility to suit any size platform. Features such as 3D Audio, Adaptive Noise Reduction and Voice-Activated Detection should be standard, to deliver a 360-degree clear audio experience with outstanding benefits for pilots, like increased situational awareness and flight safety, and reduced workload and fatigue. With 3D Audio, pilots can pinpoint the direction of the source of the sound, whether it be the voice of a crew person or air traffic controller, a system alert or a threat warning. 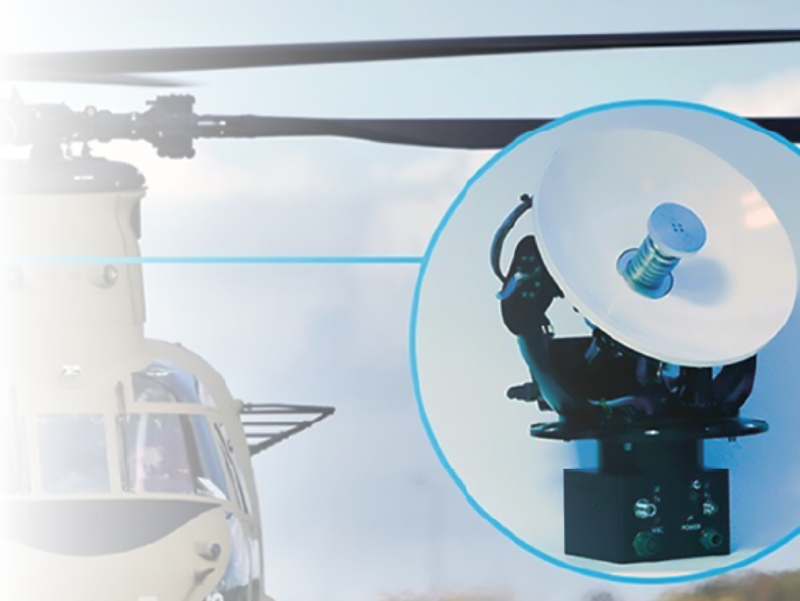 Although the Military Embedded Systems’ article stressed the importance of airborne BLOS systems, there is an equally compelling need for earthbound LOS tracking and control systems used by ground forces to communicate with airborne targets, like UAVs. Such systems should be portable (with the ability to be carried, assembled and disassembled by two people) and fully self-contained. They should also come equipped with an elevation-over-azimuth positioner unit with a built-in tracking controller, as well as a mounted directional antenna and data-link unit. 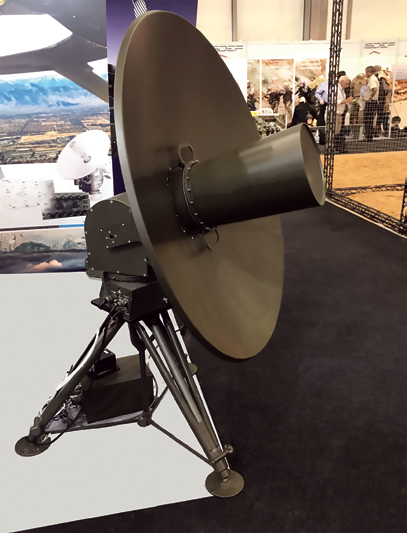 This article presented three airborne-related solutions — two, aboard aircraft (BLOS SATCOM and 3D Audio systems) and one, on the ground (LOS terminal for the tracking and control of airborne targets).